Root canals are essential to oral health care. Your Salem, NH, dentists, Drs. Nicholas Papapetros, Paul Masterson, and Jhon Giraldo, use root canal procedures to relieve pain and help teeth regain their health. 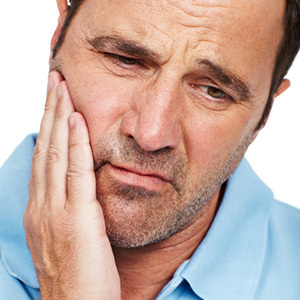 One of the main reasons people end up needing a root canal is because of poor oral hygiene. If you don't brush your teeth twice a day and floss at least once, then you will suffer from plaque and tartar building up. Enamel: The outermost layer, it is the white part of the tooth and also the strongest part. Dentin: Right under the enamel, this layer is yellowish and a bit softer. Pulp: Located in the center of the tooth, this section consists of blood vessels and nerves. Cementum: The surface layer of the tooth root, it anchors the whole tooth to the jawbone. When a cavity is deep enough to infiltrate the enamel and penetrate through the dentin, it reaches the nerve-rich layer of pulp, causing acute pain. Your Salem dentist will then need to remove the pulp, clean and disinfect the canal from any remaining bacteria, and then finally seal the canal to prevent bacteria from entering. Avoid Excessive Sugar: Eating sugary foods and drinks (i.e. candy and soda) heavily contributes to tooth decay, while healthy foods (apples and carrots) actually help scrape plaque off of teeth. Use Fluoride-Containing Products: Fluoride prevents tooth decay, so make sure that you regularly use toothpaste and mouthwash that contain fluoride. If you have any questions or concerns about root canals, do not hesitate to call your Salem, NH, dentists, Drs. Nicholas Papapetros, Paul Masterson, and Jhon Giraldo. You can schedule an appointment at their office by calling (603) 893-4538 today!